Does the Loch Ness Monster actually exist alongside Godzilla? Laugh all you want, but this might actually be a thing. Godzilla: King of the Monsters is set to arrive in theaters next year and will herald the arrival of other beloved Toho monsters such as Mothra, Rodan and King Ghidorah. 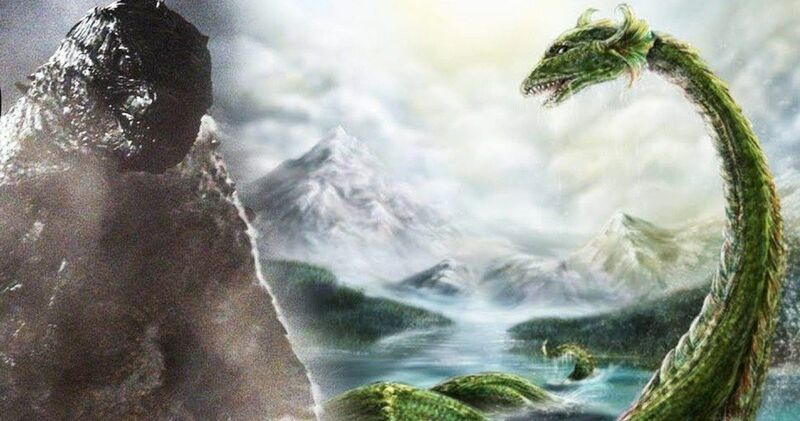 But some new evidence from an official website associated with the movie suggests that the famed Scottish water-dwelling beast may exist alongside these creatures in what has been dubbed the MonsterVerse. For those who have seen movies like 2014’s Godzilla and last year’s Kong: Skull Island, an organization known as Monarch helps to connect these movies together within the same, shared universe. The organization’s website, which is mostly just a viral marketing tool used by Warner Bros. for MonsterVerse purposes, has a feature that allows fans to track Godzilla’s whereabouts, in addition to other MUTOs (Massive Unidentified Terrestrial Organisms). One such location of an undisclosed MUTO is listed as being in the North Scottish Highlands. This has prompted a theory that the location is home to none other than the Loch Ness Monster. This may sound silly at first, but is it really all that outlandish? We know from the movies so far that these creatures have a longstanding history on Earth, which will be further explored in director Michael Dougherty’s Godzilla: King of the Monsters. It’s long been theorized that the Loch Ness Monster, aka Nessie, is actually a dinosaur, specifically a plesiosaur, that managed to survive somehow in Scotland for all these years. Within the framework of the MonsterVerse, that would actually be quite plausible and would be a fun little Easter egg for monster lovers. Even if they never actually introduce the creature on screen. If this theory does have any truth to it, we could be opening up a big can of worms. Does Bigfoot exist in this universe as well? At the very least, this is a monster being tracked by Monarch in a location synonymous with a long-standing legend from the world of cryptozoology. It seems hard to imagine that was coincidental. But let’s also remember that this is just a website used to help promote these movies. The vast majority of people who go see them won’t have actually scanned the website for such details. That said, it’s still an official website from Warner Bros. and Legendary. So it counts. In any case, it’s pretty fun to think that Godzilla v Nessie, even in the smallest way, could be possible. What we for sure have to look forward to is Godzilla: King of the Monsters, which is set to hit theaters on May 31, 2019. That will be followed up by director Adam Wingard’s Godzilla vs. Kong, which is currently filming and is scheduled to arrive in theaters a year later on May 22, 2020. To see what’s (possibly) up with the Loch Ness Monster for yourself, head on over to the Monarch website. There’s also a video below breaking down the whole theory.